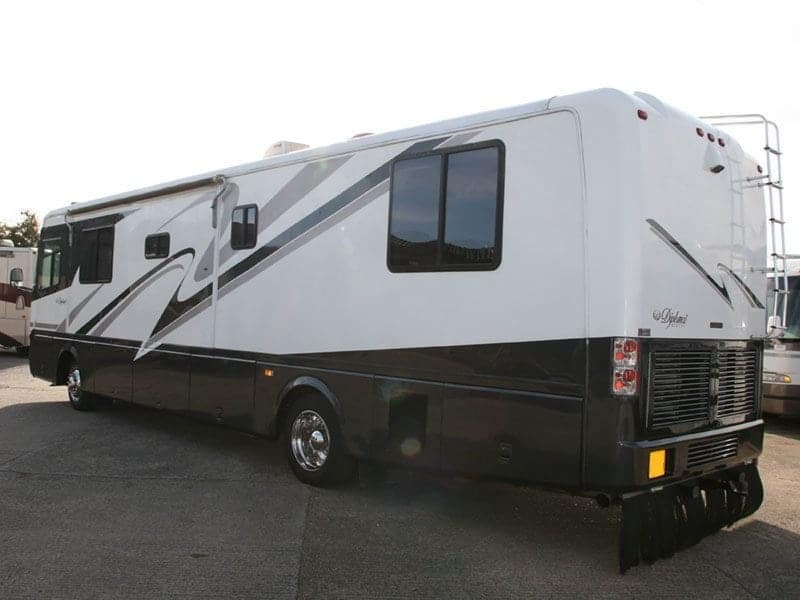 American RV Body Repairs for damp to full paintwork changes. 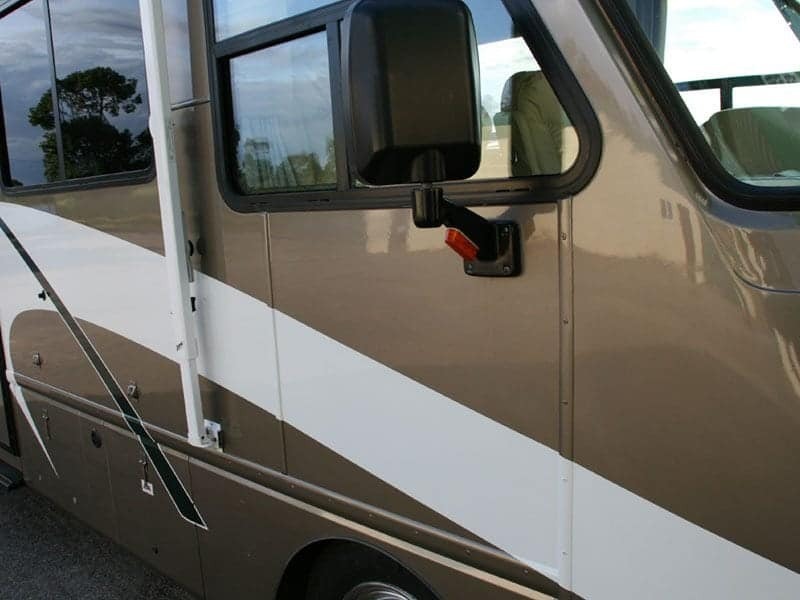 LAS Motorhomes carry out many body repairs, this small sentence can be expanded into a whole host of specialised repairs. 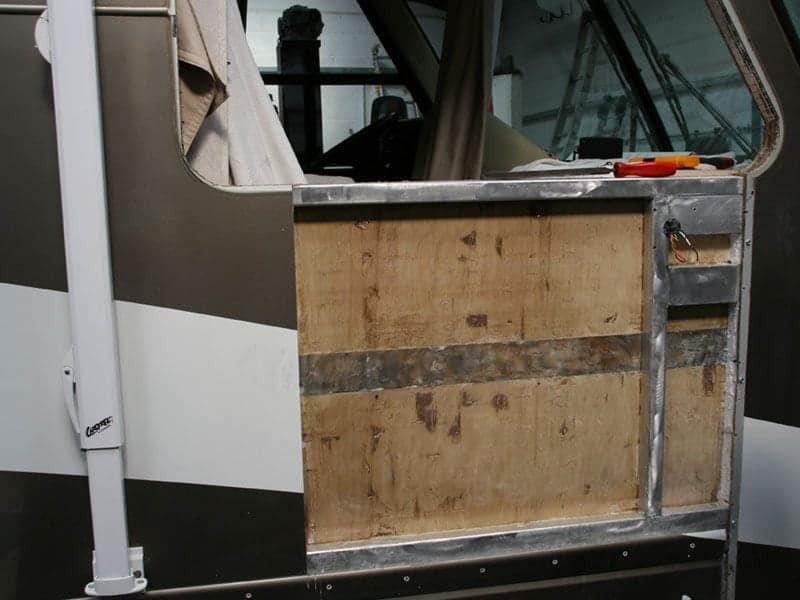 When you think of an RV body repair you may think of a bit of filler and a splash of paint, but if you read on you will see that this is not the case. One of the latest and popular trends is to remove the old worn out carpets and modernise the interior look. 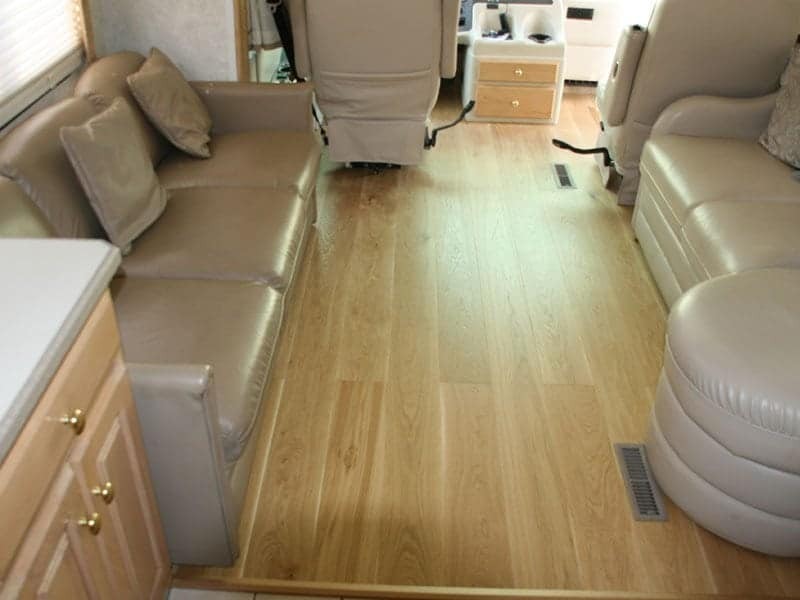 To do this correctly you need to remove all of the seats and sofas, then after removing the carpet, you need to make the floor flat. 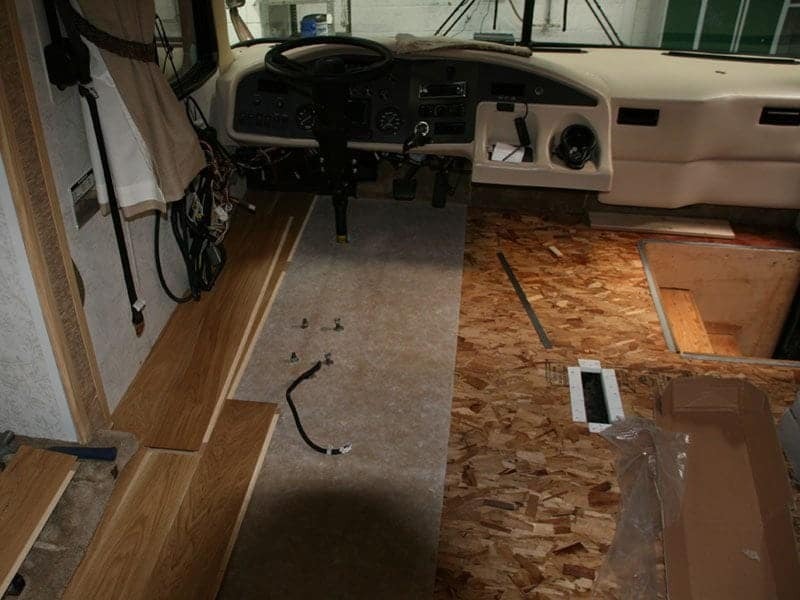 RV manufacturers have used single strand board as a base and then covered that with foam to hide any bumps when the carpet was laid. The way in which this has been done is not suitable for a modern practical surface. 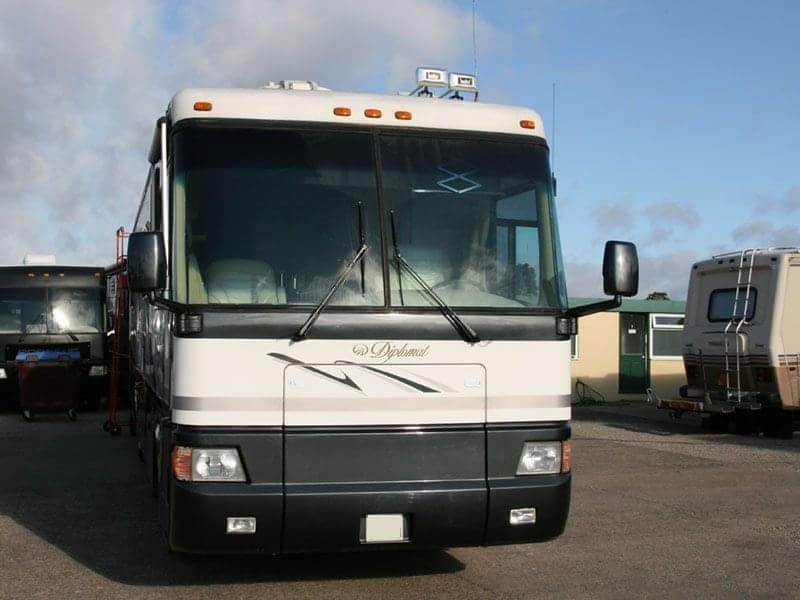 Nowadays quite a few quality built RV motorhomes are looking dated on the outside. What about a colour change? 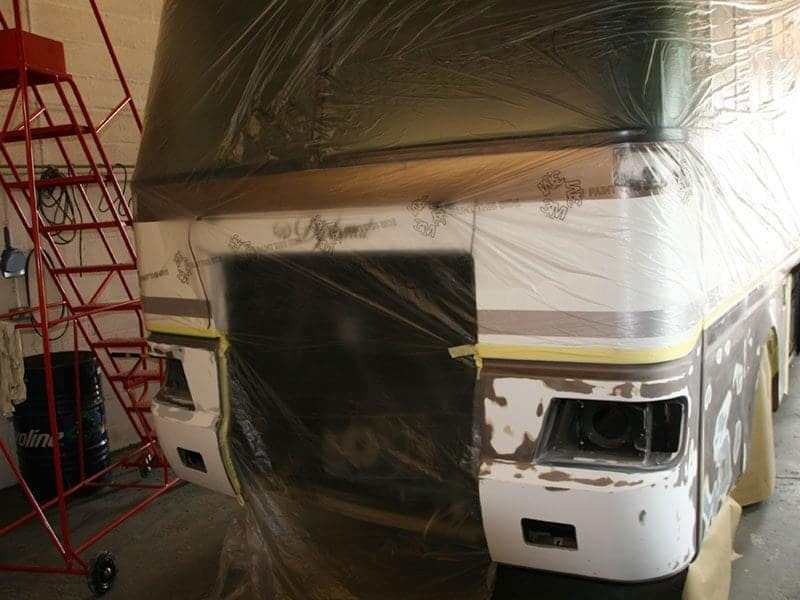 Before LAS motorhomes change the colour, a lot of work needs to go into the preparation. 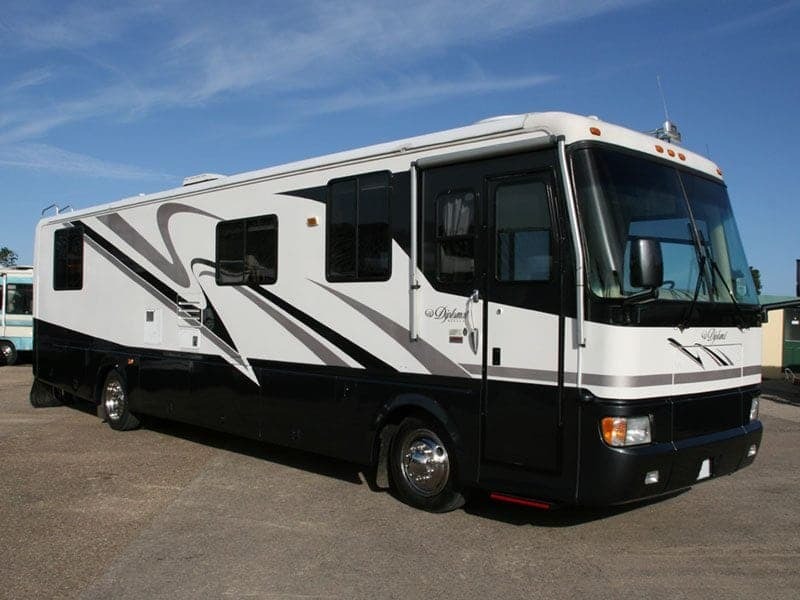 A high number of RVs due to the poor paint quality in the early 2000’s suffer from micro blistering. This micro blistering is tiny holes in the original paint lacquer, these need to be removed before any new colour is applied. Get the right colour and it can be a fantastic transformation. 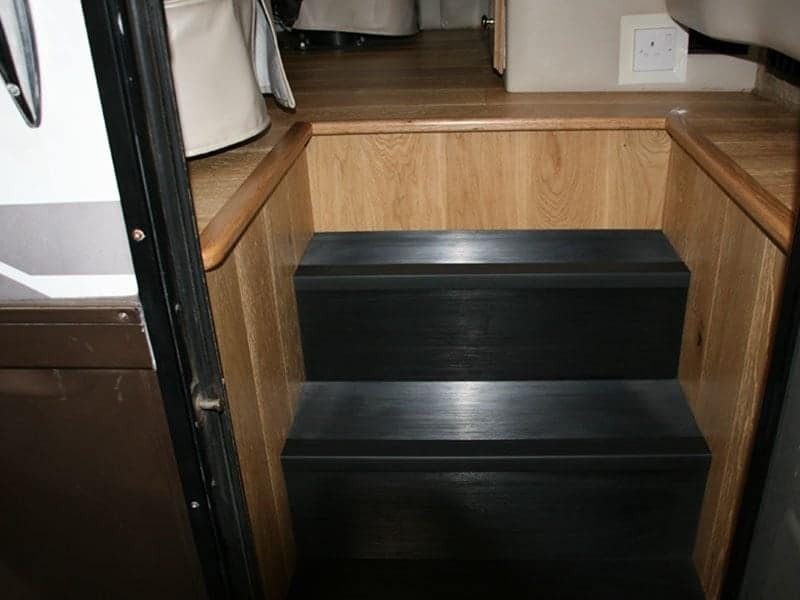 At LAS motorhomes, RV body repairs can extend to failures due to the main aluminium roof supports allowing the upper part of the body to flex far too much. When this happens the windscreen comes out. One of the biggest problems is damp. Small damp patches that have not been noticed can turn into very expensive projects. When water leaks around a window it can corrode the aluminium body. When this happens you need to know what you are doing to produce a floorless product. 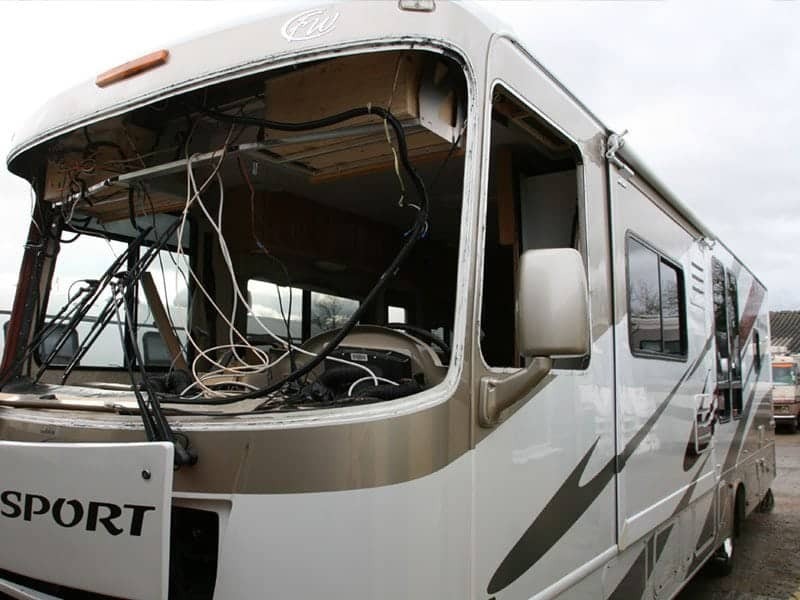 Often when someone contacts you about a fault on their American motorhome you ask the appropriate questions, analyse the answers then come up with an idea of what you think it might be. Most of the time I am spot on but on this occasion, I was a country mile out.